Mobile payments startup Square is announcing big numbers today—500,000 Square card readers shipped, 1 million Square transactions in May, and the startup is now processing $3 million in mobile payments per day. Clearly the company is on a roll in terms of traction and usage. And CEO Jack Dorsey is also revealing the next generation of Square. 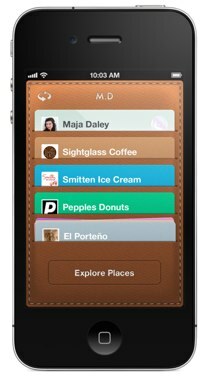 And Square is about to get a whole lot more disruptive. Today, Dorsey is revealing Square Register, a high-powered point of sale replacement for cash registers and point of sale terminals. And the company is taking it one step further for consumers by launching the Square Card Case, a way for purchasers to access a local merchants’ goods, prices, location, loyalty card and more. For background, Square offers an iPhone, Android and iPad app which allows merchants to process and manage credit card transactions with a handy little credit card swiping device that plugs into the headset/microphone jack. The device and service is the brainchild of Twitter co-founder and recently appointed product lead Jack Dorsey and Jim McKelvey. And Square recently raised $27.5 million in new funding, and announced a strategic investment from credit card company Visa. In Q1, Square did $66 million in payment volume (the company expected $40 million) and is now in track to process $1 billion in payment volume within a year. Square’s COO Keith Rabois tells us that as the startup has created a payments product for small businesses, they’ve learned that many businesses have more needs than simply having a credit card processor. One of these needs is being able to not only accept cards, but also communicate with customers more efficiently. 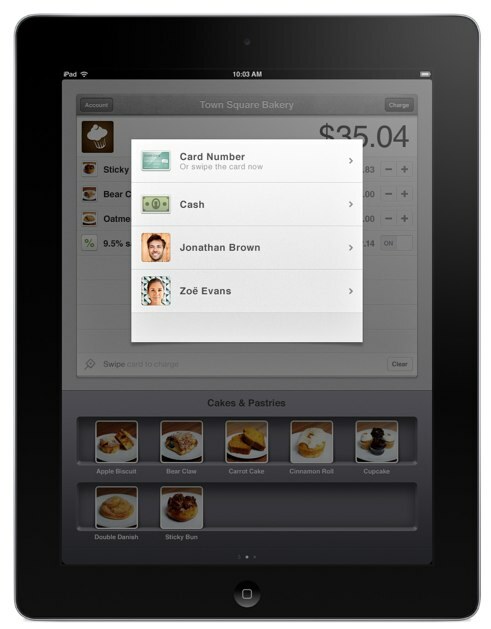 So today, Square is launching this brand new version of its iPad app, Square Register. 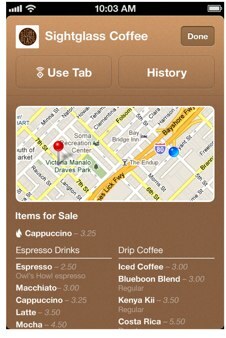 Rabois says the iPad app makes these expensive and cumbersome terminals obsolete for merchants. Not only is the reader and app free (and beautifully designed), but the register is designed to help create and maintain meaningful relationships with customers. Historically, Square’s readers always stored every purchaser’s receipt for merchants and allowed merchant’s to send a copy of the receipt to the purchaser via SMS and email. It was fairly simple. Now, with the upgrade, merchants can send customers a link to download an app on their mobile phone called a Square Card Case. And this gives merchants a whole new level of engagement with their customers. And data is another big component of Square’s announcement—Dorsey says merchants will have Google Analytics style data that merchants can access, such as how many muffins were sold, and to which types of customers, and more. As you can see from the image, the Card Case looks like a wallet-like case you would store your loyalty cards or credit cards in. Here’s how it works: when you go to a merchant who is a participating Square users, the merchant will send you a link to download the app on your mobile phone. It’s important to note that the app is not available in the App Store publicly, and at launch will only support iPhones; Android support will be rolled out soon. Once you’ve downloaded your mobile Card Case, you can fill your case with ‘cards’ of all the merchants you visit and buy from who accept Square. When you click on an individual merchant’s card, you’ll be able to see a map of where the merchant is located, contact information, your own order and purchase history, and receipts with the merchant and a daily live menu of items or services from the merchant. You’ll also be able to see what other customers are buying at the store, and merchants can serve customized offers to specific customers based on their purchase history. So here’s where things get interesting. In a merchant’s card within the case, you can press a “use tab” button which allows the frequent customer to essentially put a purchase on their virtual tab with Square at the merchant. So once you press that button within two blocks of the merchant, you’ll be able to tell the cashier your name and your card will be charged on the merchant’s backend Square register. Because you are a repeat customer, Square already has your payment information. The purchaser will then receive a push notification when the merchant processes the payment. At launch, Square’s new register and digital wallet service is being used by 50 merchants across the U.S., in San Francisco, Washington D.C., St. Louis, LA, and New York. In fact, there are merchants in the hall at TechCrunch Disrupt here in New York who will be showing attendees how to use the new version of the service. We’re told that the service will the “thoughtfully” rolled out to merchants in the coming weeks. Participating merchants range from coffee shops to bakeries to flower shops to restaurants to salons. Square believes that this next generation of the service will become the default way to run a business and a payments platform. Not only does Square give you analytics and insight into how well your business is doing, but it allows local businesses to connect to customers in a way they couldn’t with traditional point of sale systems and cash registers. In terms of financial terms, nothing has changed. Square will continue to charge the 2.75 percent per transaction fee (the startup dropped the $0.15 per transaction charge for businesses a few months ago). And interestingly, Square chose to refurbish its iPad app into the suped-up register, keeping its Android and iPhone apps as simple payment processors. Rabois tells us this decision was made after seeing the iPad’s succes as a device in retail environments. In the end, their strategy is based around how they take friction away from payments for local businesses, Rabois tells me. There’s no doubt that this new version of the service will be able to connect local merchants to customers in a way that no payments processer has been able to thus far. 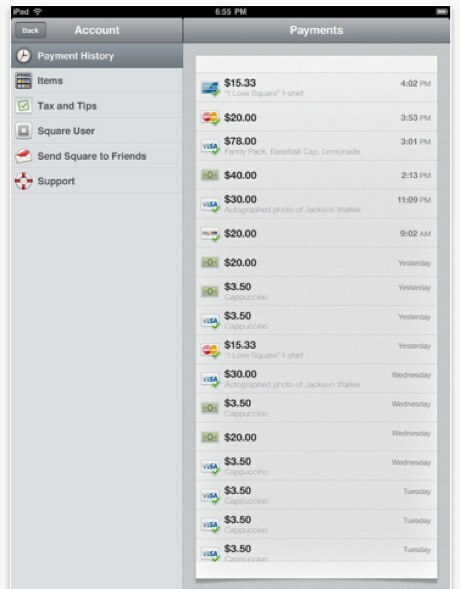 We know PayPal is trying to get into local, but Square just beat the payments giant to it with this offering. Not only does it offer personalization for each customer, but Square is now tapping into location, and there is still much more to come, Rabois notes. One piece of advice to PayPal, Visa, or any other payments giant who wants to be a part of the future of payments: buy Square. Like yesterday.